Hello everyone! 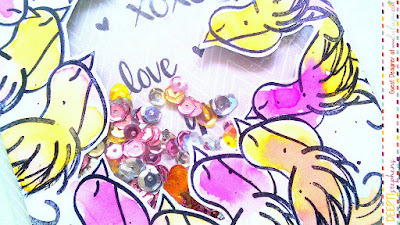 Sindhura here and I am so glad to introduce you to our lovely Guest Designer of the month- Deepti Stephens. To be honest, Deepti needs no introduction. 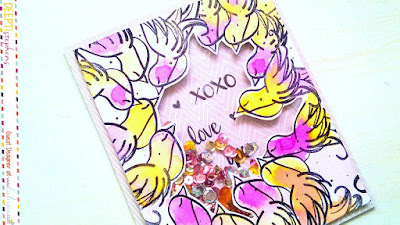 She is well known for her fun, playful, CAS (Clean and Simple) style of card making. I love how effortlessly she uses bold and bright colours on her cards and make them look stunning. For my project, I took a standard sized white card stock and another panel which is slightly smaller than the main card base. 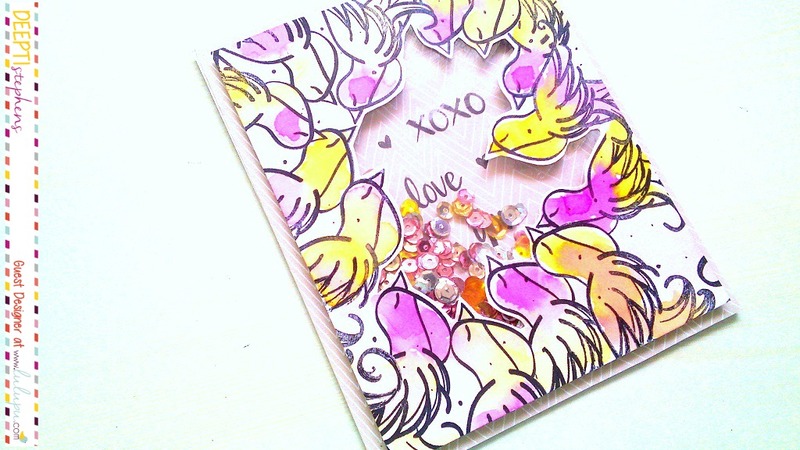 Then on to that panel, I went ahead and stamped the birds from My Heart Sings stamp set from Neat and Tangled with Archival Jet Black Ink. 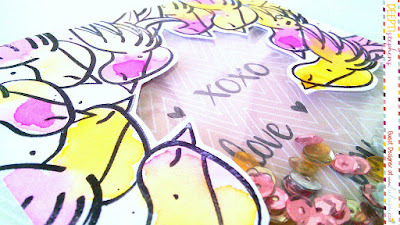 I took a thin copy paper and created masks and I used tombow removable adhesive to adhere the masks temporarily in place. 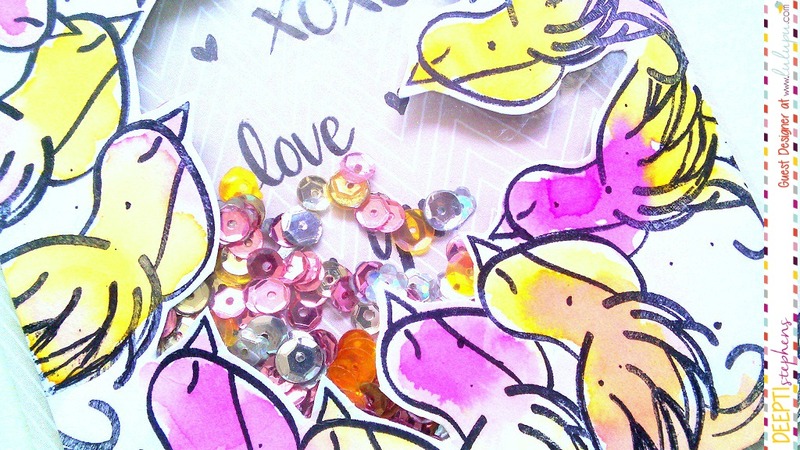 Instead of a thin paper you could use a post it note or masking paper! Once the panel was dry, I took a paper knife, cut small slits in the center and then took my scissors and fussy cut along the edges of the birds leaving a little white border! 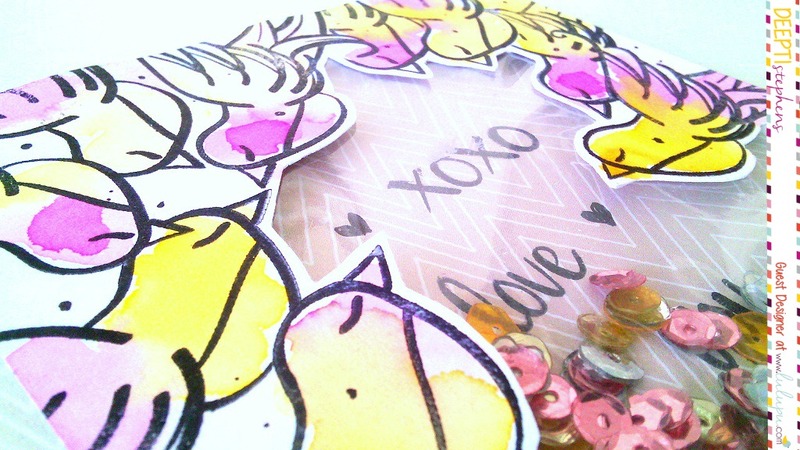 Then I flipped over the fussy cut panel and adhered an acetate from the packaging with the help of Tombow multi glue. I have filmed a card processing video where I have shared a few tips, tricks and techniques along the way. You can watch the video here or at Lulupu's YouTube Channel, here. Like this video? Please give it a big thumbs up and share it with your friends and also don't forget to subscribe to the channel for more inspiration. Thanks so much for accepting our invitation, Deepti! We wish you good luck for your future.